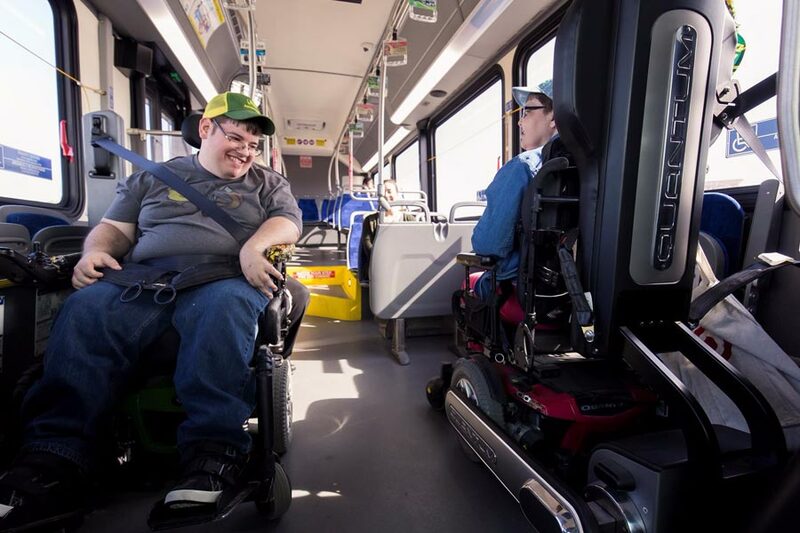 This past May, Q’STRAINT had the honor of joining forces with MATBUS to analyze the benefits of dual wheelchair securement with QUANTUM and Q’POD. 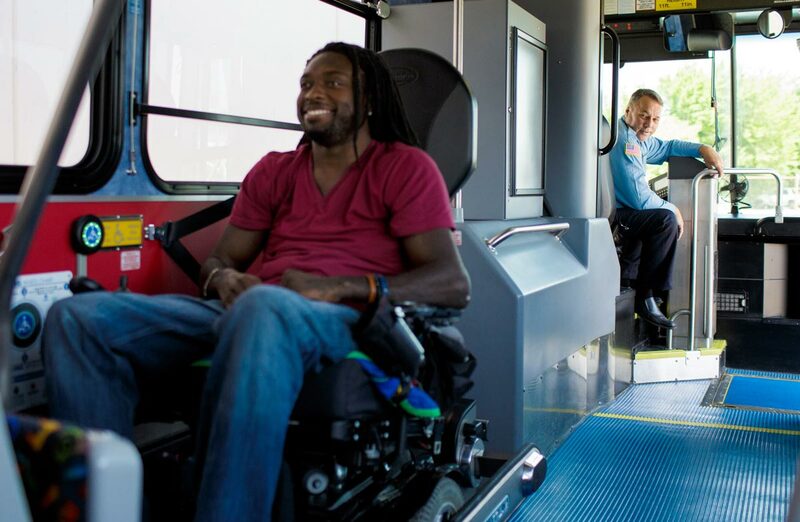 MATBUS, a pioneer in the industry, is showing us how top transit agencies are working to revolutionize accessibility in their community while giving local mobility riders the decision of rear-facing or forward-facing wheelchair securement stations. The process started with a plan to develop a field test for dual wheelchair securement in conjunction with BusRide Magazine. We knew MATBUS would be the perfect choice for the study. MATBUS, partnering with New Flyer on a new bus project, began looking into the QUANTUM and Q’POD after seeing the products at the 2014 APTA Expo. Opposed to retrofitting older model buses, it was decided to install the QUANTUM and Q’POD on new buses in the growing fleet. This gave MATBUS an ideal layout for the dual wheelchair securement stations. 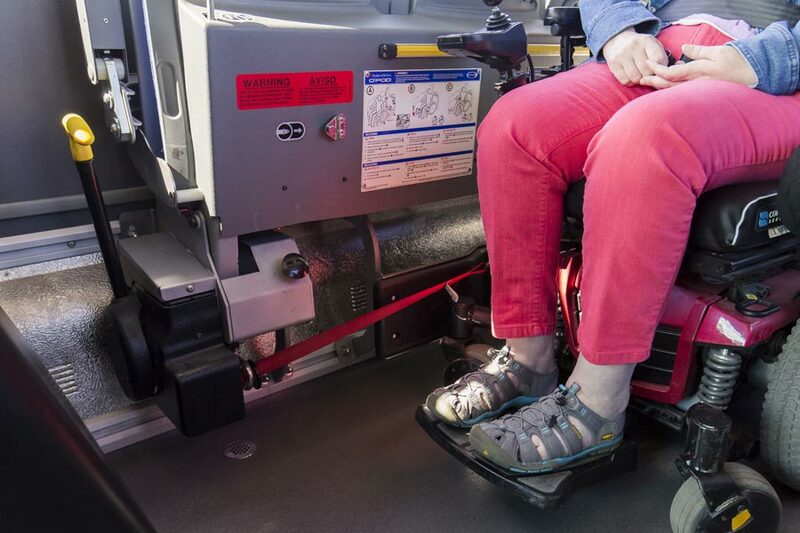 One benefit of having dual wheelchair securement stations is that it gives the riders a choice in the way they travel. While both stations safety secure a chair riders may have a preference when it comes to forward or rear-facing stations. What we discovered was that while hesitant about a rear-facing securement system, most riders, after trying the system were excited about how much independence the QUANTUM provided them. 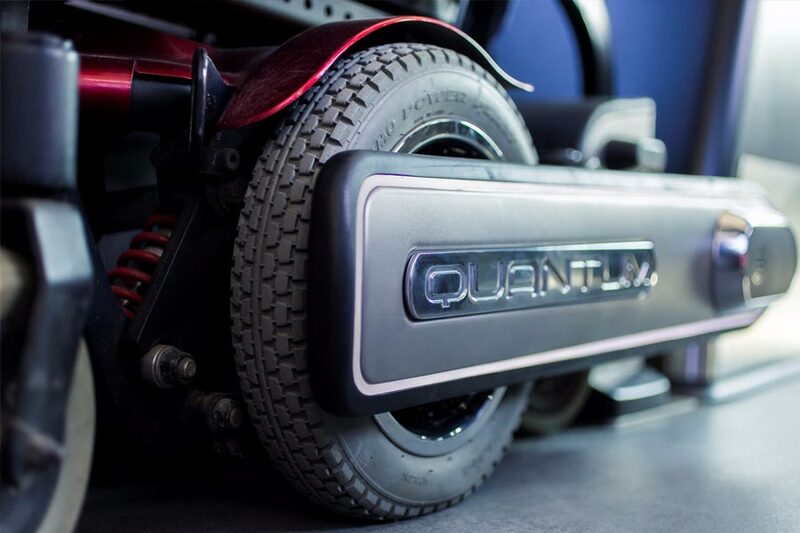 The QUANTUM allows the rider to secure themselves at the push of a button with minimal driver interference in under 25 seconds. “It’s that sense of independence that they want, and they feel it when they secure themselves stably in QUANTUM’s mechanical arm. Riders have really taken to the system,” said Bommelman. The Q’POD also proved to improve rider independence with a student at North Dakota State University. Less time is spent looking for proper straps and figuring out proper securement points, which reduces dwell time and keeps everyone on schedule. Q’STRAINT looks forward to continuing its partnership with MATBUS in the future. It is anticipated that more transit agencies jump on board and follow the lead in making public transportation safe, comfortable and accessible to everyone.